There’s nothing quite like hitting the green first thing in the morning and finishing the day off with a delicious meal and ice-cold drink. Then, do it all again the next day! These golf courses boast some of the best stay and play getaways Indiana has to offer. These golf getaway packages are perfect for a few buddies or group with accommodations at local hotels. 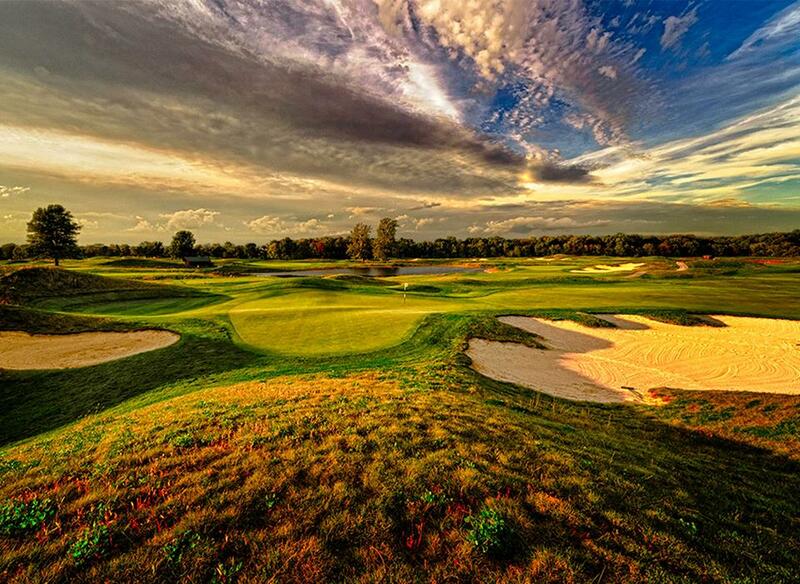 Indiana is also home to five golf resort experiences! This course stretches across 224 rolling acres of woods, water and wildlife, and used to be home to the world champion racing horse, Supreme Sultan. Golfers who look closely will notice the tributes to the saddlebred around every turn. 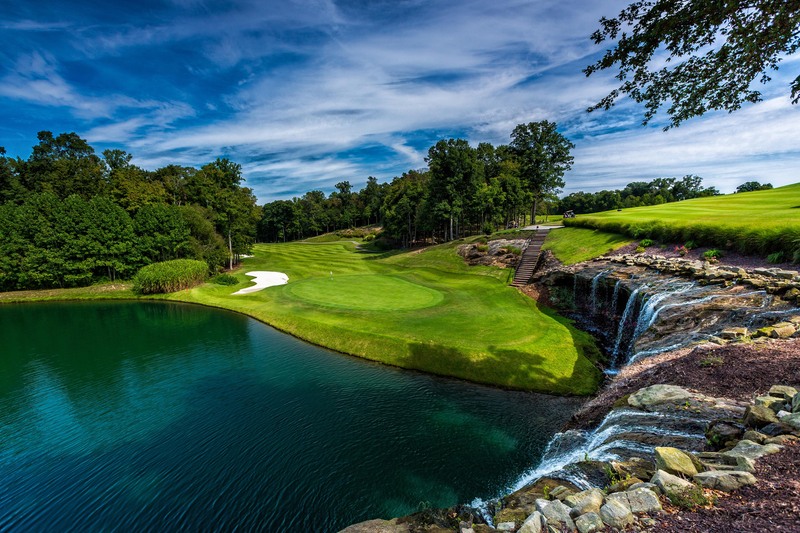 The breathtaking waterfall behind the 18th hole makes it one of the best finishing holes in Indiana. Grab a bite at the nearby German restaurant, Schnitzelbank, and take a ride on the historic Spirit of Jasper Train while you’re in the area. Book a stay. 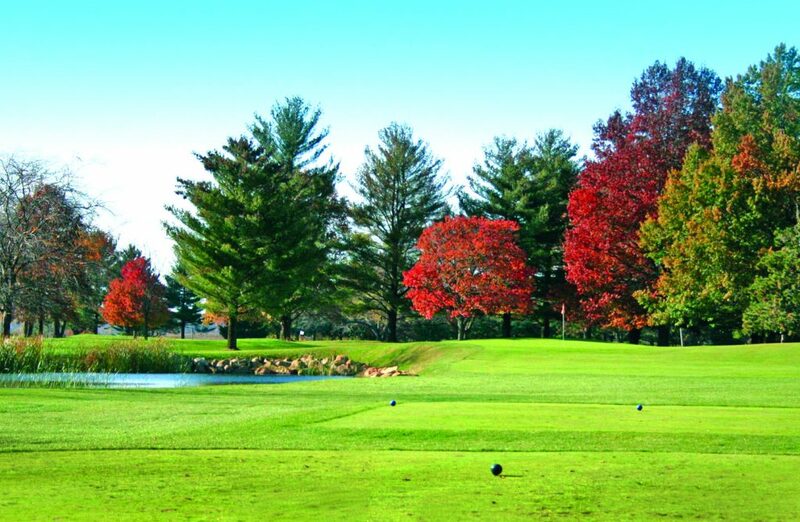 This course near Purdue University and West Lafayette features mature trees, large sand bunkers and receptive grass. The open feel of the course gives golfers a chance to recover from every shot. 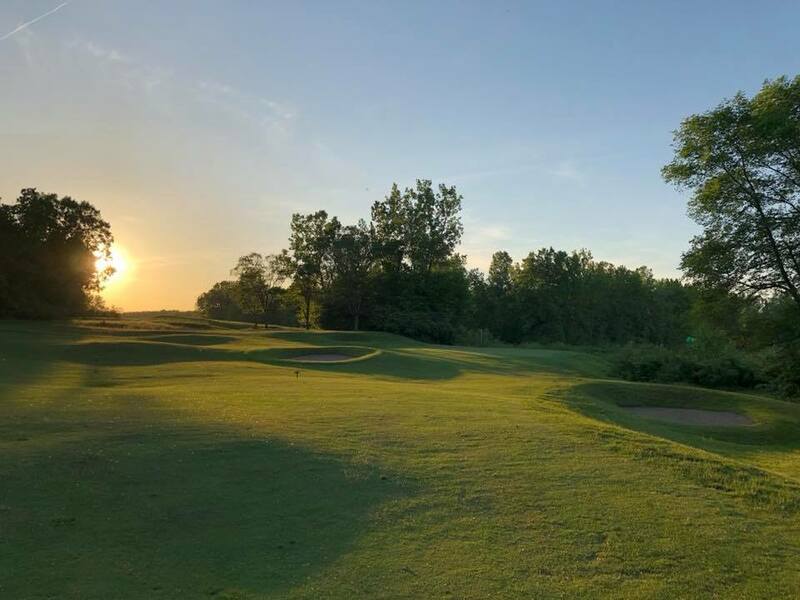 Battle Ground Golf Club is located in a historic community near the site of the 1811 Battle of Tippecanoe. Today, visitors to Battle Ground tour the Tippecanoe Battlefield Museum and Park and howl at Wolf Park wildlife facility. Book a stay. Awarded four stars by Golf Digest, this course is one of the most relaxing, yet challenging courses in the area. 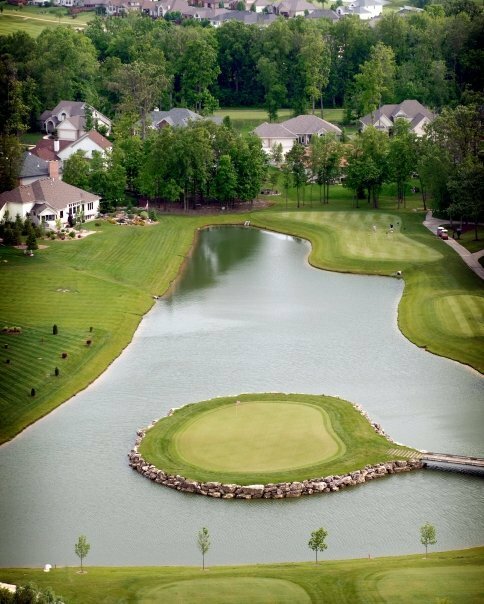 The course strategically winds around 17 lakes located on the course. Fort Wayne’s Downtown Riverfront offers amazing views and delicious dining. You can also catch the Fort Wayne TinCaps play at Parkview Field. Tee up at three other golf courses in the city with your custom stay and play package. Book a stay. This course’s 300 acres of dramatic scenery comes from the mined gravel pit it was built on. Designed by Tom Liddy, the course mixes old-growth forests, cattailed wetlands, beautiful boulders and elevation changes. Peru, Indiana, also offers homegrown fun, like the famous Circus Hall of Fame. Book a stay. This course is a favorite for golfers of all skill levels. Choose from six tees on every hole while navigating over 130 limestone-filled bunkers. 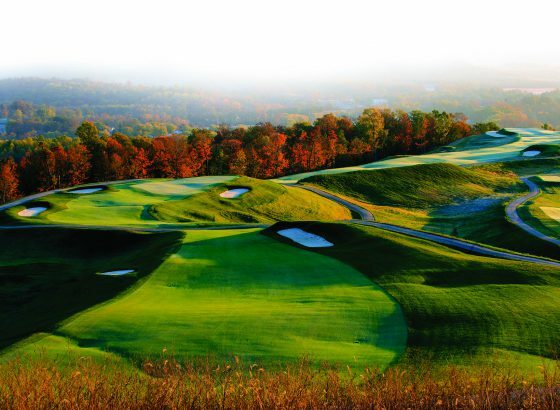 Golfers rave about this unique course, consistently named one of the best around. Catch a show at Ruoff Home Mortgage Music Center and grab a cold one at the local breweries. Book a stay. Stay and play in these amazing communities for the perfect guy’s weekend and group outing. Find more great Indiana courses at VisitIndianaGolf.com.